About Us | United Country Cotham and Co. WELCOME TO ASH FLAT/HARDY, ARKANSAS LOCATED IN BEAUTIFUL SHARP COUNTY. Nestled in the foothills of the Ozark Mountains in North Central Arkansas, SHARP COUNTY borders on Missouri and has elevation ranges from 561 feet in the southern section to 1,000 feet in the Northwest portion. You are invited to come enjoy SHARP COUNTY and the many outdoor amenities that are available. Let UNITED COUNTRY COTHAM & CO. help you plan your future in this area. Our combined experience and knowledge of this part of Arkansas can help find that perfect piece of property that you desire. UNITED COUNTRY COTHAM & CO.
UNITED COUNTRY COTHAM & CO. of ASH FLAT/HARDY ARKANSAS, can save you time and money in locating properties throughout SHARP COUNTY and the areas that surround NORTH CENTRAL ARKANSAS. We offer the finest selection of residential property, country homes, historic estates, waterfront retreats, retirement properties and commercial business. 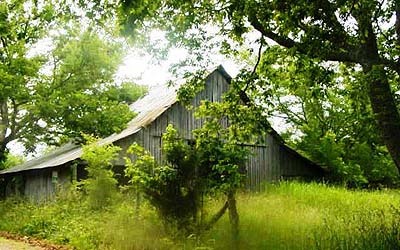 In addition we offer our services to those looking to purchase rural real estate such as horse farms, cattle ranches, wooded acreage, recreational land and secluded hunting tracts.